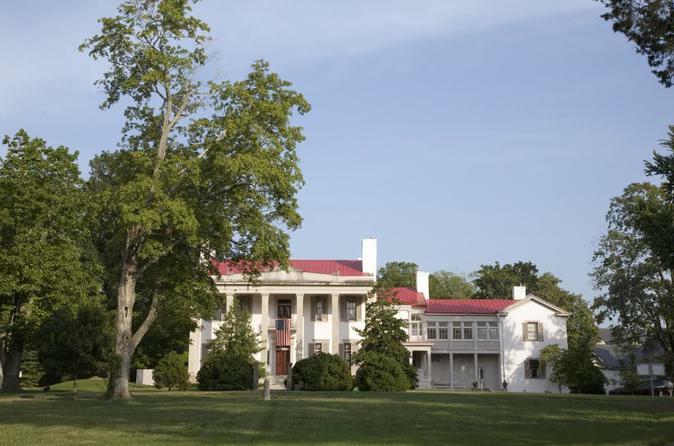 Embark on a 45minute journey into Belle Meade Plantation, which is 5,400 acres thoroughbred with a horse farm. See a Greek Revival Mansion, deer park, train station and rock quarry which supported five generations of owners over the years. Belle Meade Plantation to this day, still retains 34 acres of its original property and several outbuildings including the Mansion and original homestead. Step back in time and explore one of the most historic plantations of its time with a guide. This tour includes entrance fees. Meet your guide at the Belle Meade Plantation Mansion for a walk through the historic mansion with a knowledgeable costumed guide. This tour will take you into, and through almost every room of the mansion. Belle Meade is recognized as the premiere thoroughbred nursery in America during the 1800s, and the people who made it what it was. After your guided tour, enjoy a complimentary wine tasting at our beautiful winery. The grounds at Belle Meade are self-guided and are available to explore both before and after the tour. Today Belle Meade Plantation retains 34 acres of its original property and several outbuildings including the Mansion and original homestead. Today’s site functions as an educational resource dedicated to the preservation of Tennessee’s Victorian architecture, history and equestrian history.